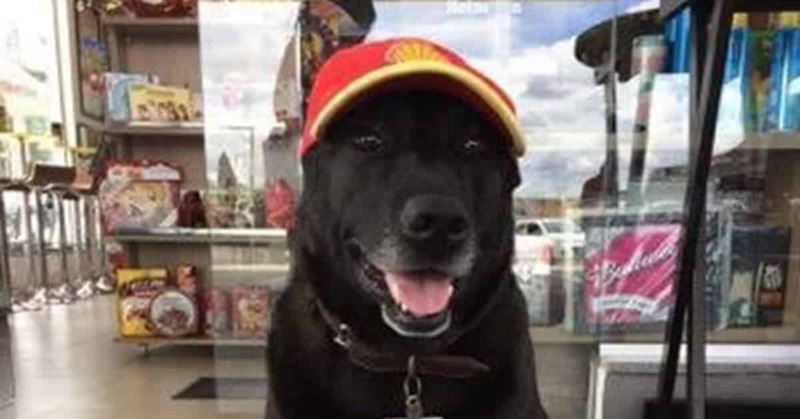 Negao isn’t your typical gas station employee, and not just because he’s a dog. But he didn’t always have a job. 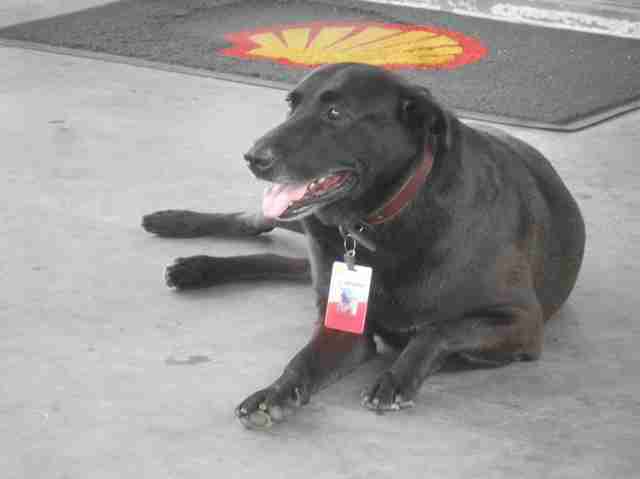 2 years ago, Sabrina Plannerer and partner purchased a Shell Gas Station in Brazil. 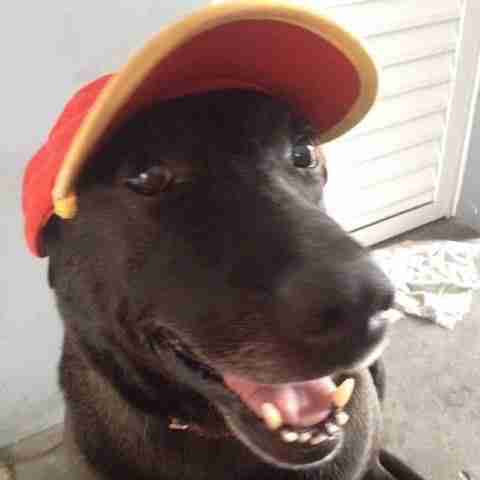 While it was under construction, Sabrina discovered a dog who had been abandoned there. He was too frightened to leave. Instead of sending him away, they decided to rescue him. 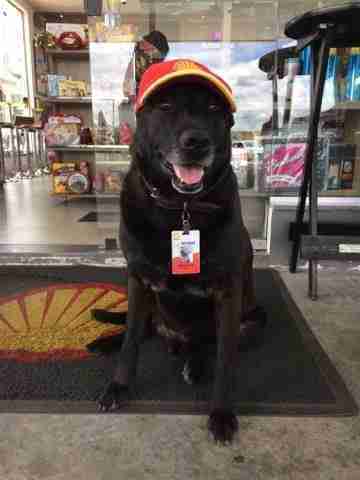 It seemed only natural to give him a job when their gas station opened. 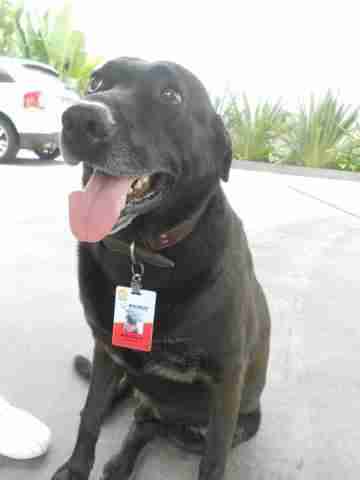 He even has an employee badge. Sabrina wasn’t sure how Negao would react to a large number of people coming to his home, but he has proven himself as a model employee. 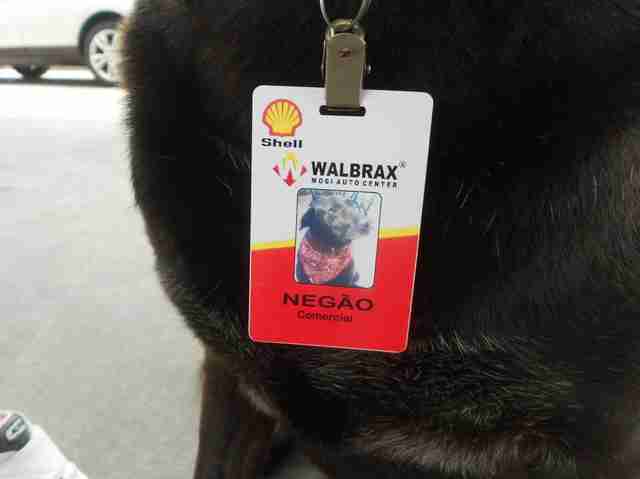 While Negao enjoys his job as official greeter, he also lives a full life. He gets taken on regular walks. 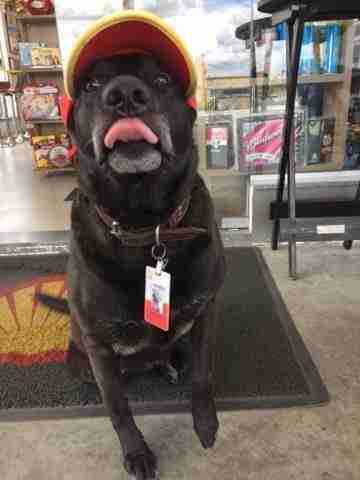 The gas station is staffed 24/7 so there is always a co-worker to take care of him. 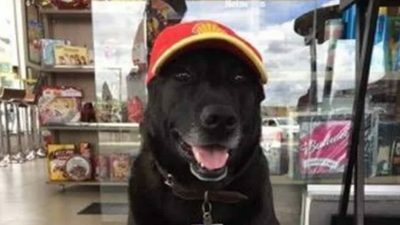 Negao has become a spokesdog for the local charity group Grupo FERA which tries to pair stray dogs with businesses when they can’t find a family home.